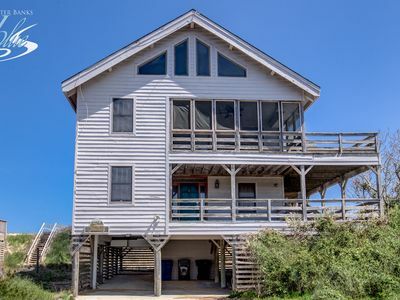 Starting from the elevated first floor, you’ll find three captivating oceanfront bedrooms, each with their own TVs and access to the deck. 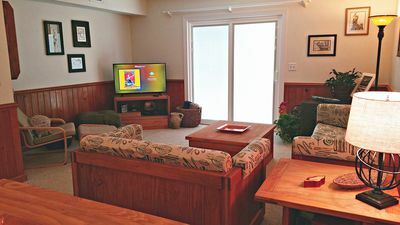 The first is a 2 single bedroom with a semi-private bathroom which opens to the hallway, another room with two bunk beds, and finally, a Queen bedroom with a private master bathroom. 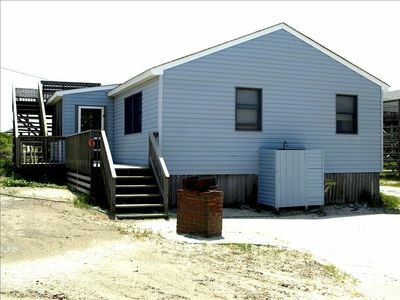 You will find the laundry area on this level as well. 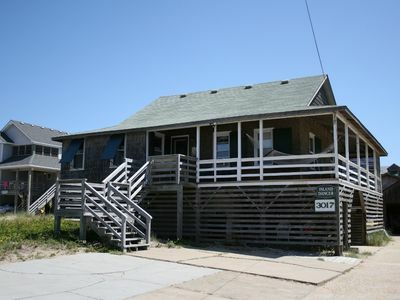 The second floor is the gathering area of this home and also where you’ll find the remaining Queen bedroom. 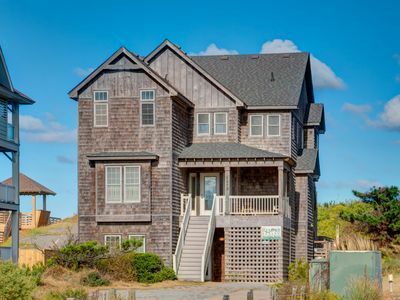 This open-style floor plan is a favorite among guests – big expansive common areas connect the living room, dining room, and kitchen, allowing you to spend more time with your family and enjoy the view from wherever you sit. 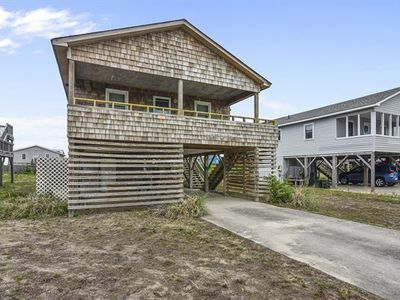 Other features include a cozy breakfast bar, a gas fireplace, and a sundeck just to the side for a nice place to tan or watch the stars. 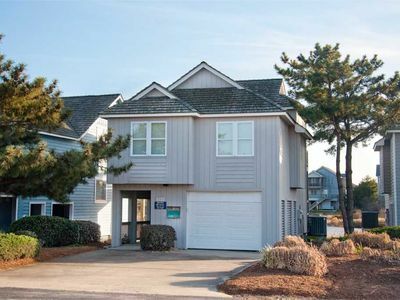 End Unit Ocean Condo ~ Ocean Views From Every Window! 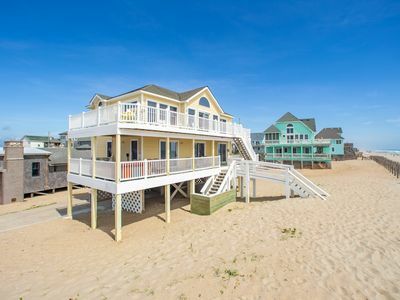 Just Fab: Oceanfront, 8 bedroom, private pool, hot tub, private walkway to beach. 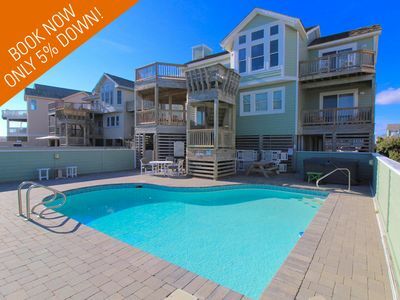 Sunspot: Soundside golf villa offers FREE access to oceanfront beach club with community pool. 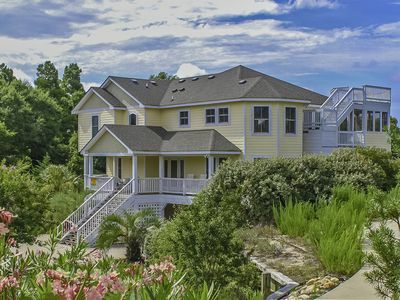 Mama Burt's: Oceanside, community pool, short walk to the beach, five bedrooms. 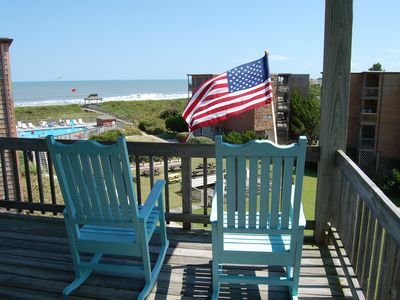 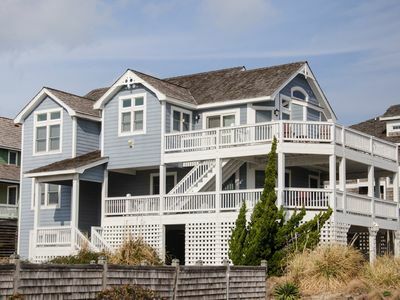 Explore the Outer Banks from Your Windswept Hideaway! 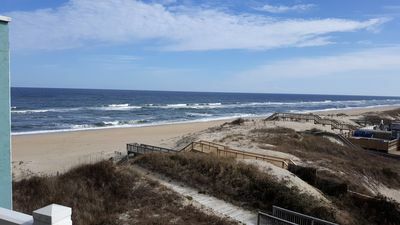 Oceanside in Kitty Hawk. 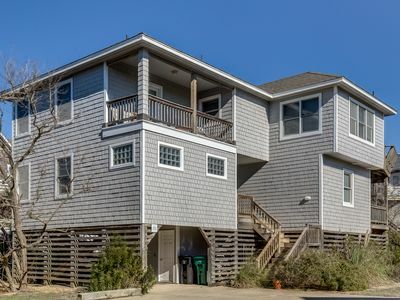 Adorable, redecorated beach house with Ocean views! 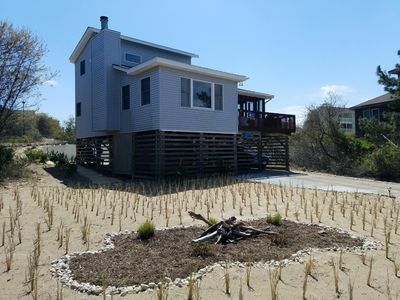 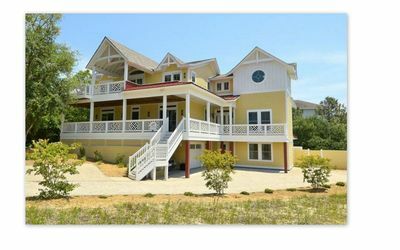 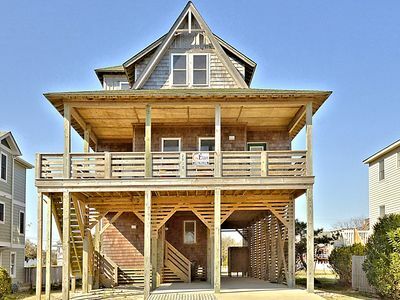 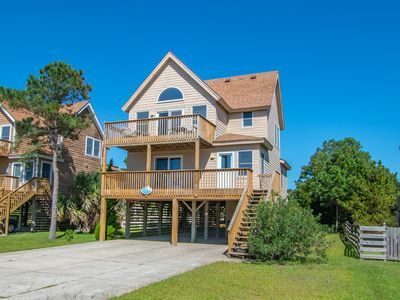 Oceanfront 7 Bedroom Multi-Family Home with Flexible Check In/Out Days! 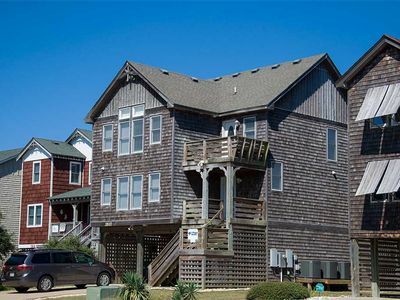 3 Bedroom Soundside and close to all the fun! 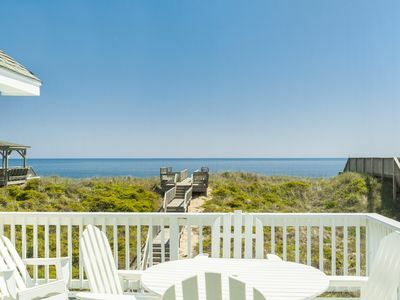 Stunning Views of the Ocean from your Private Balcony!